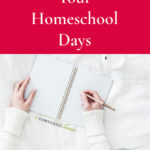 A lot of homeschool blogs are very specific to a certain type of homeschooling. There is the Charlotte Mason group, which is all about living books. There are other literature based types. The interest-led homeschoolers, the school at home homeschoolers. It seems like there is a type of homeschooler for everyone! Where do you fall? I have been trying to figure out what my type is for quite a while now. Do I love living books? Absolutely! Do I love books in general? Of course! Haven’t you seen my crazy 100 books goal for the year?! Do I think that my children should be able to explore their own interests, and take it as far as they can? Yes! Do my children enjoy math workbooks and sitting down for writing practice. Yes, and yes. How is it possible to identify with nearly every homeschooler “type” that is out there? Where does that leave my family? Where does that leave my kids? Well, it seems as though we are in the “eclectic” homeschooler group. We are the homeschoolers that like to take a little bit of each type, and make it our own. I honestly think this is great. Part of me wants to fully throw myself into unschooling, but the reality is, my daughter loves to sit down and do math workbooks for as long as I will let her during the day. We can spend hours reading books during the day, and do nothing else, and my children are happy. We can do nothing “school” related, and instead spend the entire day outside, digging in the dirt, looking at trees and leaves, planting a garden, or playing with our chickens; and that is OK too! At first I wasn’t quite sure what to make of an “eclectic” homeschooler. Now, however, I find that we are able to take all of things that work for us from the other types out there and make it our own. 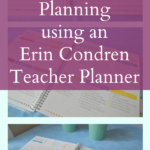 We take what works for our family and use that to guide us on our homeschool journey. That is the most important thing, I believe. Finding what makes my children passionate about learning, and going head on into it. So whether it is workbooks and flash cards, or nature studies and paint brushes, I am going to use whatever I can to give my children the love of learning that I desire for them. What type of homeschooler are you? If you do not homeschool, is there a type of learning that you find your children gravitate towards? I think the bits of everything approach is a great way to go! I know my girls love to learn and I try to foster that be letting their interests lead the way. It's so much less exciting if they have no interest, I feel like you could set yourself to fail by following one method. Way to go! I think that's awesome. At this point, we mostly fall into the "school at home" category, but we're new to homeschooling and I just pulled my kids from public school, so it's a natural first direction. But then we incorporate a lot of other things, so really we're eclectic, too. I think it would be kind of hard to be 100% anything. My family is the same way! When I first started looking into homeschooling, I was overwhelmed at how many different 'types' there were. But, my children are not one note, therefore our homeschool isn't either. We have curriculum workbooks, we have intterest led learning, we read a lot, we also love to plant our garden, and we have life learning such as visiting the post office and other community places. Nice to know we're not the only ones. Thanks for sharing! Stopping by from the hop.